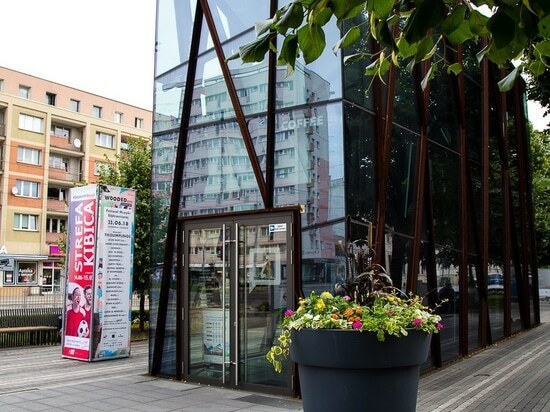 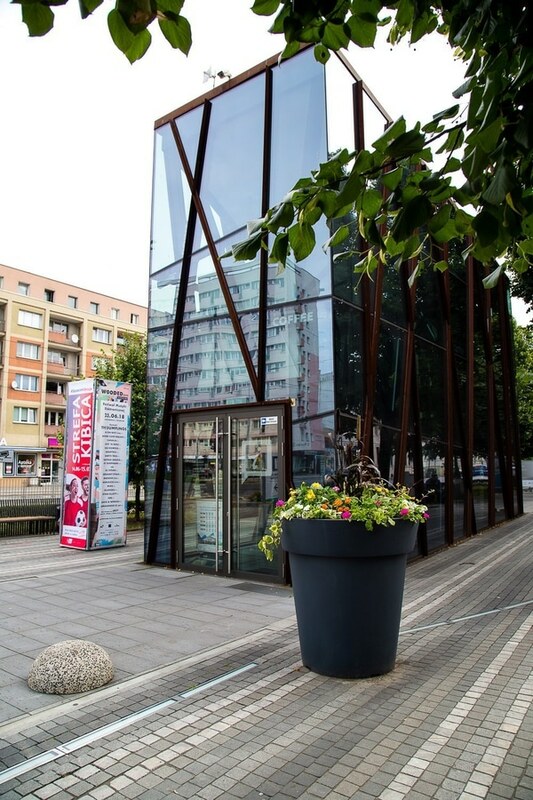 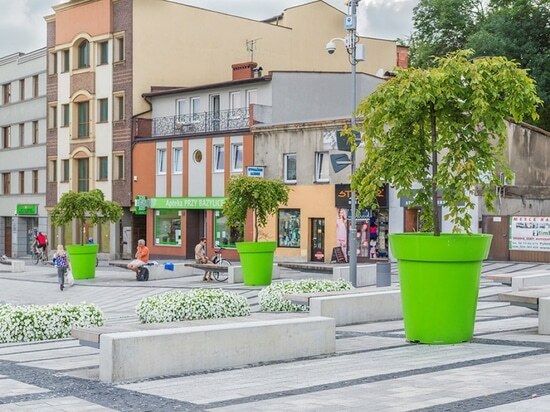 The largest city in the West Pomeranian Voivodeship, an important economic, academic and tourist center. 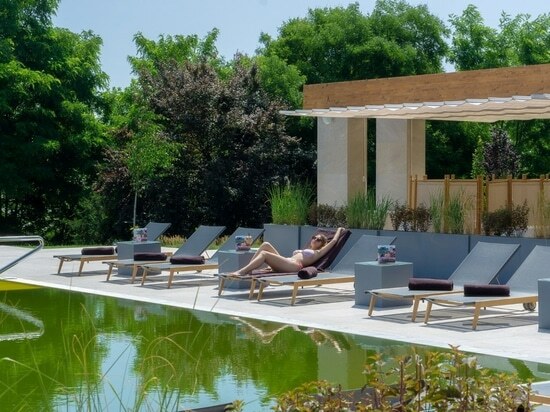 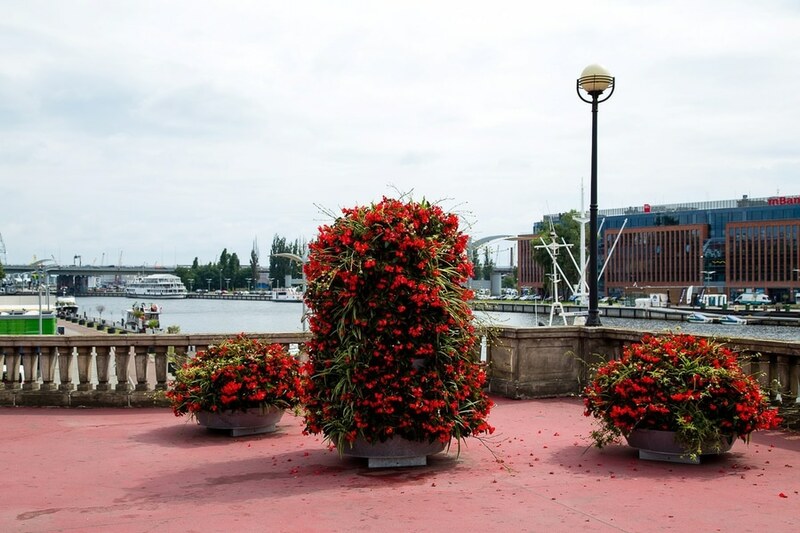 Every year it is visited by hundreds of thousands of people, yearning for beautiful monuments, theaters and some relax at the bank of the Oder River. 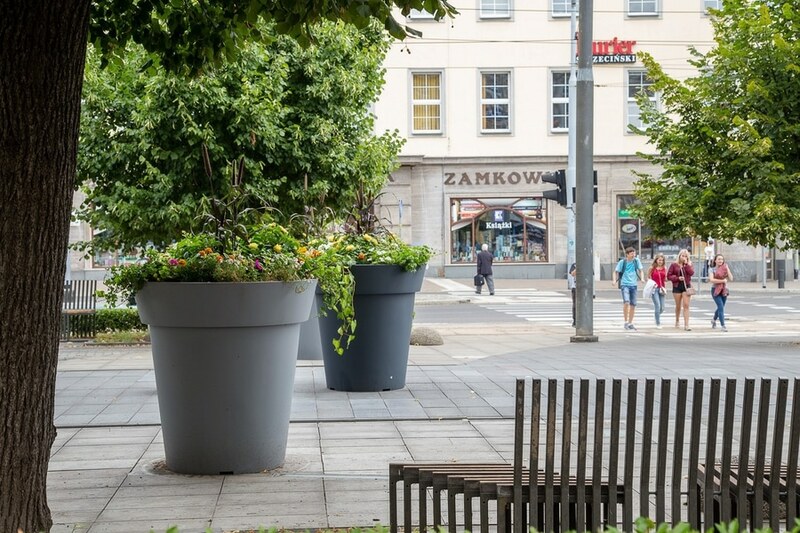 It is a perfect reason to enrich urban space of Szczecin with greenery which will soothe the senses of residents and tourists. 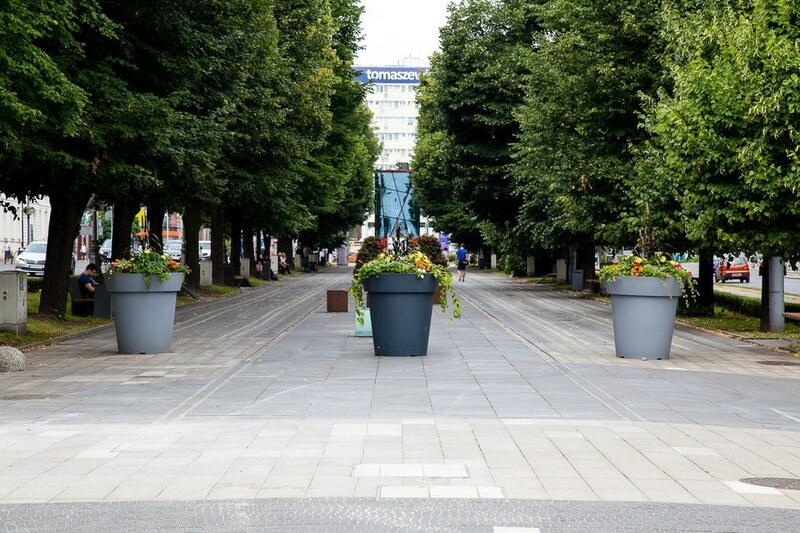 Once again the city has entrusted us the project of decorating its streets, squares and pavements with flowers. 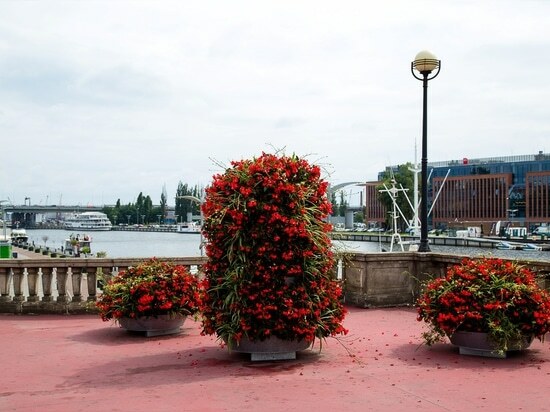 Bigger and smaller Flower Towers have been set in important locations, planted with juicy red Begonia. 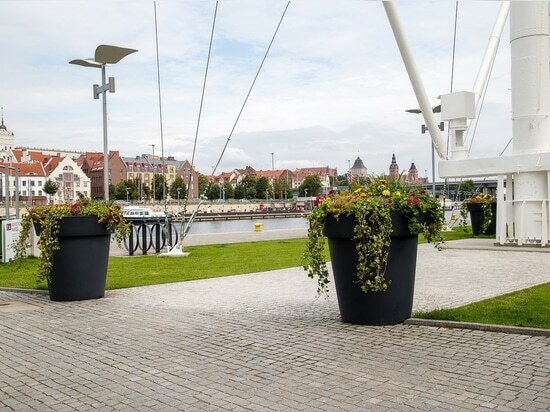 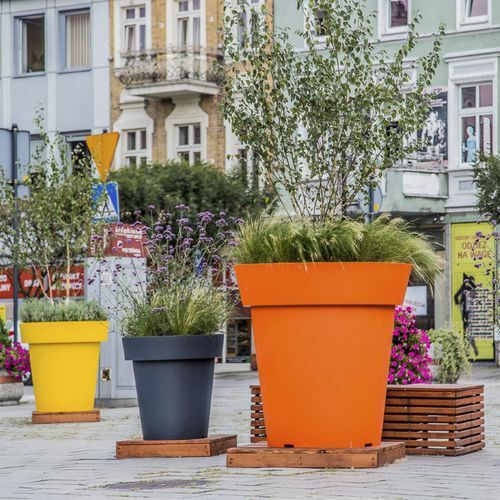 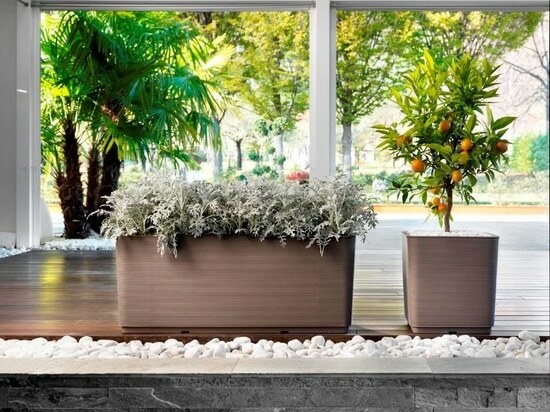 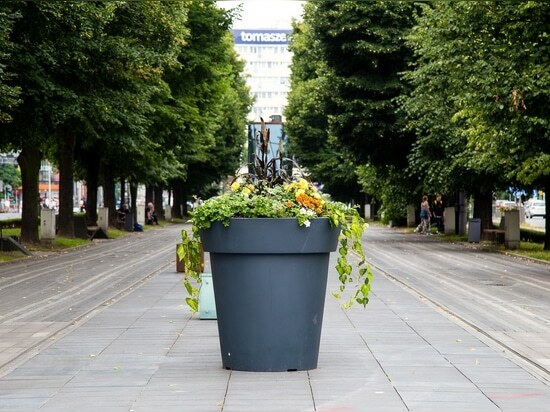 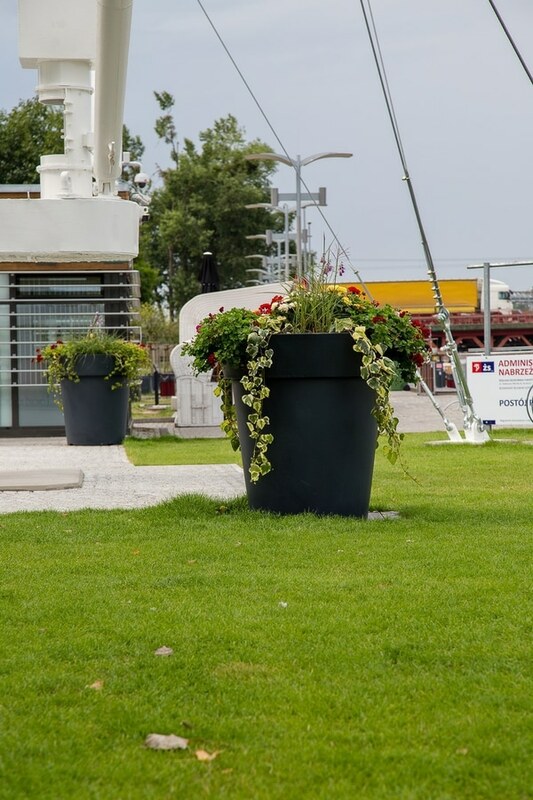 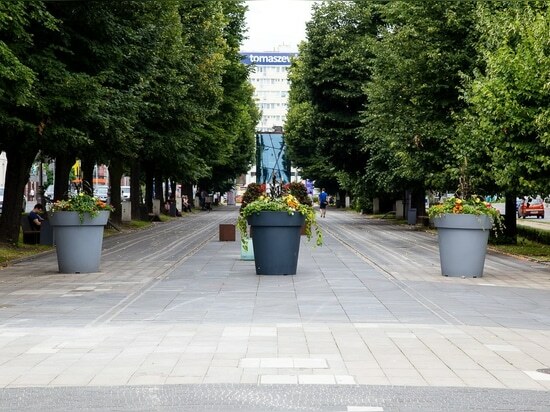 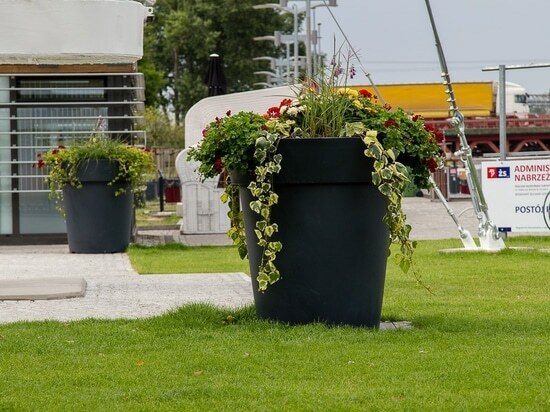 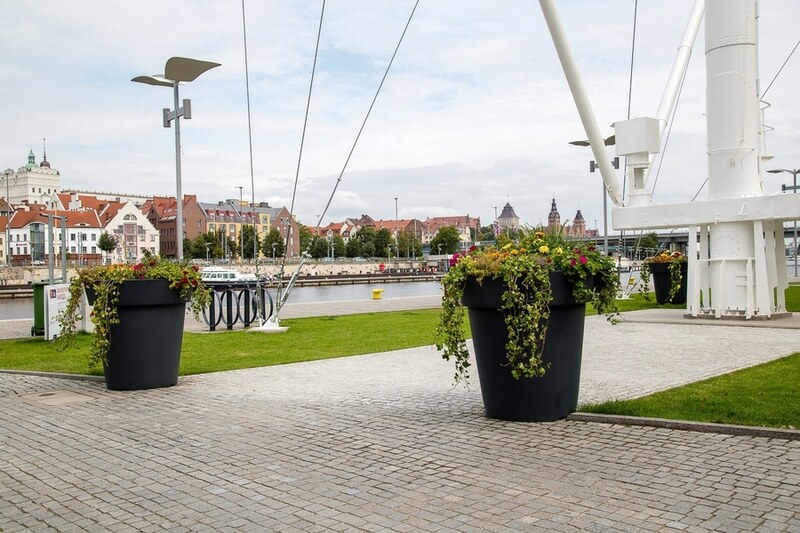 Gianto pots were located by the Oder River and in the city center in two different shades of gray, creating a great complementary composition. 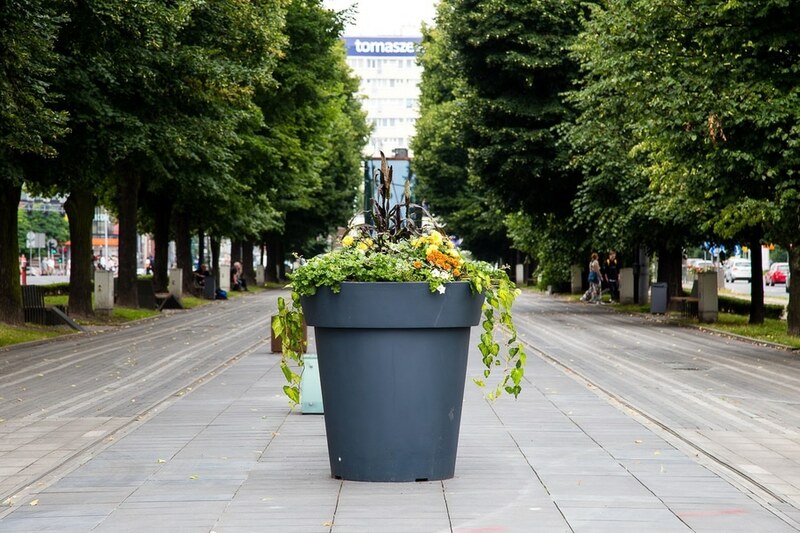 So little effort, such a great effect!